U.S. Customs and Border Protection (CBP) officers seized approximately 223 pounds of methamphetamine and two pounds of heroin worth $648,288 over the weekend during four vehicle inspections in California and Arizona. The alleged seizures resulted in the arrests of three U.S. citizens and two Mexican nationals. The first incident occurred on Saturday morning during a vehicle inspection when CBP officers assigned to Andrade Port of Entry in California contacted a 31-year-old woman and a 30-year-old male in a Toyota Tacoma. Officers referred the male driver to a secondary inspection station where a K-9 alerted to odors inside of the passenger compartment, leading to the discovery of 83 wrapped packages of methamphetamine and one package of heroin concealed under the back seat, firewall, and spare tire. The total weight came out to 97 pounds of methamphetamine and three pounds of heroin for the combined street value of $288,142. Both driver and passenger were identified as residents of Fort Mohave, Arizona, and U.S. citizens. The second incident occurred at the Calexico East Port of Entry later the same day, when a CBP officer contacted a 25-year-old male driving a Ford F-150 pickup. Officers referred the driver for a secondary inspection which detected anomalies in the undercarriage and gas tank. A search produced 74 wrapped packages of methamphetamine weighing a total of 82 pounds with an approximate street value of $215,046. The driver was identified as a U.S. citizen and resident of Somerton, Arizona. All suspect parties were turned over to U.S. Department of Homeland Security Investigations, according to a release. Later, CBP officers assigned to El Centro Border Patrol Sector were working the Highway 86 checkpoint on Saturday at approximately 5:47 pm when they contacted a 26-year-old woman driving a Nissan Altima. 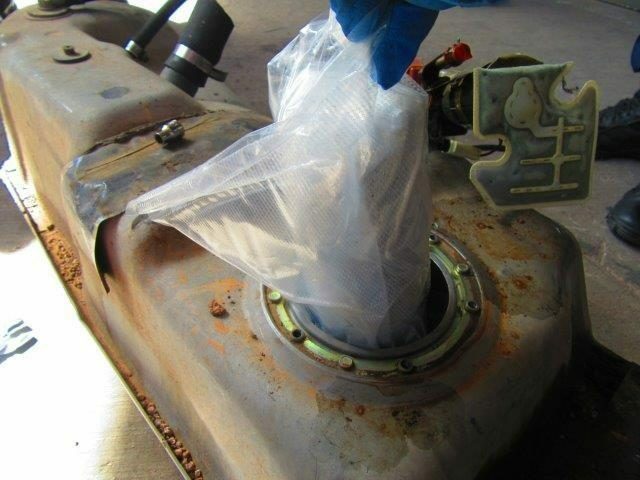 During the secondary inspection, agents discovered several packages concealed within the gas tank containing methamphetamine. A total of 44 pounds of meth with an estimated street value of $145,100 was seized. The driver was identified as a Mexican citizen and arrested for drug smuggling charges. She was later handed over to the Imperial County Sheriffs’ Office Border Crime Suppression Team, according to a CBP media release. The last case occurred when CBP officers assigned to the Port of Naco, Arizona, contacted a 21-year old female driving a Saturn SUV on Sunday. Officers referred her for a secondary inspection and reportedly located 50 packages of methamphetamine concealed within the vehicle’s rocker panels and rear cargo storage area. The methamphetamine was estimated to be worth nearly $166,000 and weighed 55 pounds. The driver who was identified as a Mexican national.